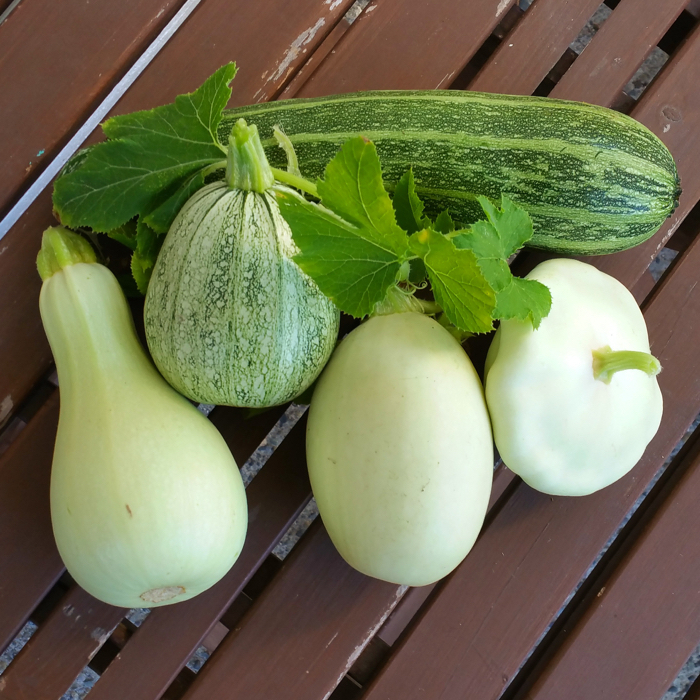 The garden is putting out 2 to 3 summer squashes almost daily, so I have been looking for a lot of ways to hide it in recipes! Preheat oven to 350°, line 2 12-count muffin tins with premium liners. Add applesauce and oil to a high-speed blender. Trim zucchini ends, cube up. Add 1 zucchini at a time to blender, process smooth. When it reaches the 3 cup level on the blender pitcher, you have arrived. Add in egg and vanilla, pulse till mixed. Add in salt, baking powder, baking soda, cinnamon, and sugar. Mix until smooth. Measure flour into a large mixing bowl, pour in batter. Stir until just mixed. Divide between baking cups, bake for about 25 minutes, until golden on top and they look done. Let cool for 10 minutes in pans, transfer to cooling racks. Zucchini and summer squash come in so many colors and shapes! Add sugar, butter, sea salt, and vanilla extract into a large mixing bowl. Beat on low with a hand mixer to combine, add in milk, mix on low until it starts coming together, then on medium-high until the frosting is smooth. Frost muffins once they are cooled. The frosting will set up/harden if left to rest for a few minutes, then loosely cover the cupcakes. Leftover frosting should be stored tightly covered in the refrigerator. 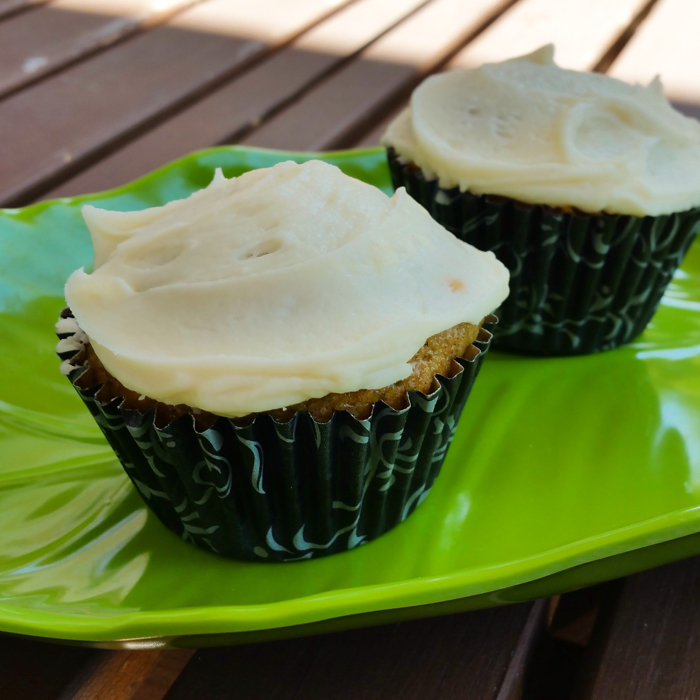 Frosted cupcakes can be left on the counter, stored in the refrigerator, or frozen for later.